Today marks the one year anniversary of the 2011 "Super Outbreak" - the largest outbreak of tornadoes since April 3-4, 1974. 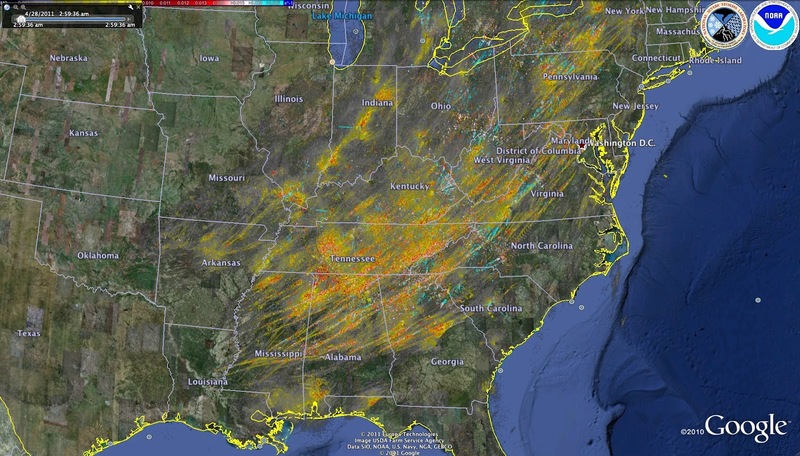 While the Memphis area wasn't directly affected by any of the tornadoes that day, April 27 was the last in a 3-day onslaught of severe weather that affected the southeastern U.S. (Actually, severe weather continued to a much lesser extent into the Mid-Atlantic on the 28th as well.) During that string of days, the metro received severe weather in the form of flooding, large hail, wind damage, and a couple of rotating supercells that prompted tornado warnings but no touchdowns. We'll take the opportunity to recap exactly what happened those three days, focusing especially on April 27 and the Smithville, MS tornado - the only tornado to affect the NWS-Memphis warning area. We'll include lots of links that have exceptional information on the outbreak as well. The first graphic below is the Storm Prediction Center's long-range outlook issued on April 23. Even that early, there was a sense that this period could bring a severe weather outbreak with long-track and violent tornadoes. The day started with a moderate risk of severe weather over southwest TN, northwest MS, and southern AR. Multiple waves of storms, one at mid-day that prompted Tornado Warnings in the metro and another late in the evening that formed into a squall line, brought many reports of severe weather. There were no confirmed tornado touchdowns in the metro, however a couple of funnel clouds were reported with the mid-day storms. The evening squall line hit between 10-11pm and caused some straight-line wind damage. Much of the day's severe weather occurred in the ArkLaTex near where low pressure was moving along a stationary front that was draped across the southern Plains into the Mid-Mississippi Valley, while wind reports also lined up from NE Arkansas into central KY. The day started with another moderate risk of severe weather over the entire Mid-South area, but by mid-morning the metro area was upgraded to a rare “high” risk signaling the potential for a major severe weather and tornado outbreak. By mid-afternoon, supercell storms exploded over central Arkansas and moved northeast toward the metro, prompting numerous Tornado Warnings through the evening hours. Though no tornadoes were confirmed locally, there were many areas of straight-line wind damage and hail, along with funnel clouds. As the storms began to congeal into several storm clusters and squall lines that continued into the overnight hours, widespread flash flooding began to develop. The majority of the tornadoes on this day occurred in northern Louisiana near a secondary area of low pressure. The most prolific day of the outbreak began with an initial round of tornadoes that caused damage and fatalities in Mississippi and Alabama during the early morning. Meanwhile, in the metro, the repeated showers and thunderstorms continued to exacerbate flooding conditions for the next several hours. Another rare high risk area had been issued, this time centered on northern Alabama, while the metro was within the slight to moderate category. Clearing skies during the late morning to early afternoon allowed an already volatile airmass over the entire Southeast to become even more dangerous and soon new supercell storms were exploding, first in MS and then AL. Many of these cells would grow into monsters, producing some of the most violent tornadoes of recent memory, and tornadoes would continue well into the night across Georgia, east Tennessee, and even up the Appalachian chain as far north as New York, leaving many towns devastated and many lives lost. By great fortune, the Memphis metro escaped this most violent round of weather almost entirely, with only a few storms with isolated hail, though tornadoes did touch down as close as Jonesboro, AR and Oxford, MS. A loop of regional radar for the entire day (caution: large file) assembled by UA-Huntsville grad student Cody Kirkpatrick can be viewed here. The most devastating damage closest to Memphis on the 27th was in Smithville, MS, about 130 miles southeast of the Bluff City. At 3:45 in the afternoon, and for the first time since 1966, an EF-5 tornado struck the state of Mississippi and literally leveled this small town. According to the National Weather Service, peak wind reached 205 mph and the tornado width in the Smithville area was 1/2 mile. The tornado's path started just southwest of Smithville and continued for over 35 miles into northwest Alabama. A total of 17 persons lost their lives in Smithville with an estimated 40 injured. The post office, police station, and water and sewage systems were destroyed and several other businesses, mostly on Highway 25, or Main Street, were severely damaged. The following pictures were taken by MWN meteorologist Erik Proseus 3 months after the Smithville tornado, following the debris clean-up effort but before much re-building began. There are many other accounts, stories, pictures, video and reflections on the web. These are just a few of the highlights. As we remember those that perished, their loved ones, and the countless others whose lives were affected in many ways, MWN encourages you to use this time to re-focus on preparedness. While this particular event may have been a once-in-a-lifetime or generational outbreak, it doesn't take 10 or 100 or more tornadoes to affect you. It only takes one, in the wrong place at the wrong time. Memphis is a part of what is called "Dixie Alley" - the area of the country that is the deadliest during severe weather. Know your plan, practice it, and share it with family. Have a plan for home, work, school, or wherever else you frequent, including on the road. Include in your plans multiple ways of receiving severe weather information, especially at night or away from home. 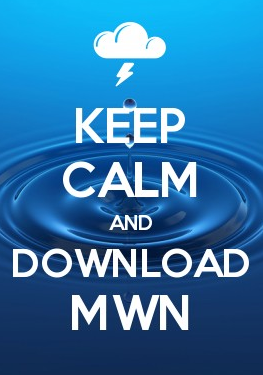 The MWN Storm Center has more information and safety tips that you should review with your family. Our prayer is that everyone is properly prepared for severe weather and that nothing remotely close to April 27th occurs again in our lifetimes. For information on personalized severe weather alerts in the palm of your hand, check out StormWatch+.